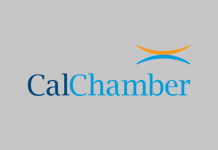 The California Chamber of Commerce is the voice of California businesses of all sizes, expert at promoting pro-job policies and advising employers on the practical impact of state laws and regulations in the workplace. We track more than 3,000 legislative proposals every year, speaking up when a bill will hurt employers and the economy, and working to win support for legislation that will help the jobs climate. Policymakers listen to CalChamber policy advocates, knowing that we represent more than 14,000 member businesses that together employ a fourth of the state’s private workforce and reflect the diversity of the California business community. Strengthening our message are the thousands of individuals who use our web-based grassroots center, www.calchambervotes.com, to express their views to their elected representatives. Each year, website visitors use the grassroots center to send some 200,000 letters about state and federal issues affecting business operations. Read on to learn how CalChamber advocacy in 2018 helped employers. See the Advocacy Return on Investment sheet for estimates of employer savings on some of these victories. 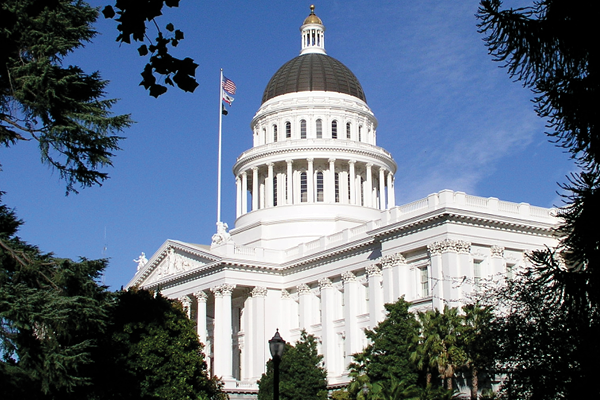 • Arbitration discrimination: Urged veto of ban on settlement agreements and arbitration agreements for labor and employment claims (AB 3080); and blocked ban on use of arbitration agreements for small businesses seeking financial investors (AB 2527). • Unnecessary litigation costs: Secured amendments removing new stand-alone private right of action for failure to prevent harassment or discrimination (SB 1300). • Tax Increases: Stopped targeted taxes on high earners (AB 2351) and contractors (AB 2560). • Burdensome environmental regulations: Stopped proposals leading to substantial increase in energy costs (AB 893), ban on combustion engine vehicles (AB 1745), and increased costs for California Environmental Quality Act compliance (AB 2447). • Economic development barriers: Prevented passage of proposal creating unworkable requirements for providing hotel worker panic buttons (AB 1761). • Increased health care costs: Won amendments to and veto of proposal mandating medication-assistant treatment for opioid use disorders (AB 2384). • Increased labor costs: Stopped bills imposing another layer of wage statement penalties (AB 2613) and exposing employers to costly litigation related to medical marijuana in the workplace (AB 2069). • Protecting employers/employees in sexual harassment cases: Sponsored bill signed into law to ensure sexual harassment victims and employers aren’t sued for defamation for simply reporting and investigating harassment (AB 2770). • Training students for careers: Extended and improved the Career Technical Incentive Grant program (AB 1808, AB 1743); and funded a grant program allowing selected schools to create public-private partnerships to prepare students for high-skilled, high-demand jobs in technology, manufacturing, health care and finance (AB 1809, SB 1243). • Extension of film tax credits: Continued for another five years the program bringing more film and television production to the state (SB 871, SB 951, AB 1734). • Stopped bill requiring manufacturers of electronics and appliances sold in California to provide any repair person with software, parts and tools to repair the products (AB 2110). • Blocked effort to place ridiculous restrictions on use of bots (AB 1950).